In an attempt to propel economy ahead of the general elections, the RBI on Thursday lowered the benchmark interest rate by 0.25 percent, the second cut in a row, to the lowest level in one year on softening inflation. The central bank, however, kept monetary policy stance 'neutral' over uncertainty over monsoon. It also lowered GDP growth forecast for the 2018-19 to 7.2 percent from 7.4 percent predicted in February policy. The benchmark interest rate was cut by 0.25 percent to 6 percent, a move which will result in lower cost of borrowing for banks that are expected to transmit the same to individuals and corporates. The Reserve Bank of India (RBI) on February 7 had last cut interest rate to 6.25 percent from 6.5 percent. Last time repo rate stood at 6 percent was in April 2018. The rate cut is in consonance of achieving the medium-term objective of maintaining inflation at the 4 percent level while supporting growth, the RBI said in its first bi-monthly monetary policy statement for 2019-20. "The Monetary Policy Committee (MPC) notes that the output gap remains negative and the domestic economy is facing headwinds, especially on the global front. The need is to strengthen domestic growth impulses by spurring private investment which has remained sluggish," it noted. The RBI cut the retail inflation forecast to 2.9-3 percent for the first half of current fiscal, mainly due to lower food and fuel prices as well as expectation of a normal rainy season. 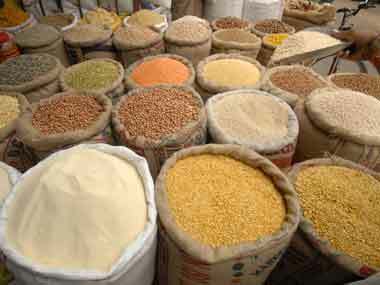 "Taking into consideration these factors and assuming a normal monsoon in 2019, the path of CPI inflation is revised downwards to 2.4 percent in Q4:2018-19, 2.9-3.0 percent in H1:2019-20 and 3.5-3.8 percent in H2:2019-20, with risks broadly balanced," the RBI said. 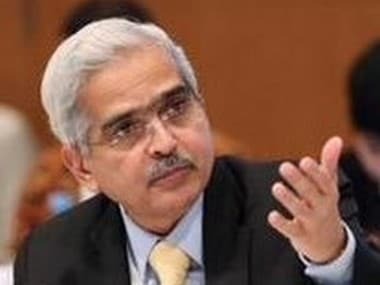 Governor Shaktikanta Das said the Reserve Bank goes with the official statistics while making its assessments on the economy and formulation its policy responses. A group of over 100 economists had gone public with their reservations on the GDP and other key dataprints last month in the light of the frequent revisions in the way the numbers are computed. Das, the bureaucrat-turned-central banker, told reporters that the RBI goes with the official statistics prepared by the Central Statistics Office (CSO). When asked about his meeting with finance minister Arun Jaitley ahead of the policy, Das said there is nothing "unusual" about such a move. It can be noted that his predecessor Urjit Patel, along with his five-member Monetary Policy Committee, had once declined to meet the finance minister earlier. Das said such meetings have been on either physically or otherwise, even after the move to MPC-led rate setting. The central bank is monitoring the fiscal situation and will continue to watch the space closely, Das said. The central bank will soon come out with revised circular for effective resolution of stressed assets in the backdrop of the Supreme Court order. The Supreme Court Tuesday quashed the RBI circular of last year that pertains to the provisions for referring the defaulter to the National Company Law Tribunal (NCLT) even on a one-day overdue. "The court has said that power of RBI under Section 35AA has to be exercised in certain manner. The validity of section 35AA of the Banking Regulation Act 1949 stands and henceforth we have to comply with the direction of Supreme Court and act accordingly," Das said. Section 35AA empowers the central government to authorise the RBI to issue directions to any banking company or companies to initiate insolvency resolution process in respect of a default under the provisions of the IBC. 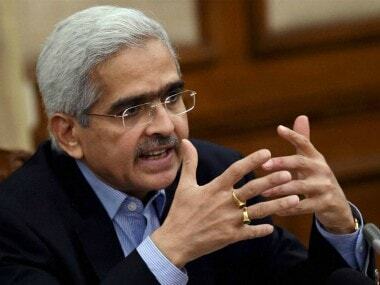 "In the light of the Supreme Court order, the RBI will take necessary steps, including issuance of revised circular as may be necessary for expeditious and effective resolution of stressed assets," he said. Domestic benchmark equity indices turned volatile in afternoon trade Thursday after the RBI cut repo by 0.25 percent for the second time in a row, but kept the policy stance at 'neutral' amid uncertainty over monsoon. The 30-share index fell 160.45 points to 38,716.67 in a knee-jerk reaction at noon, but pared all losses, and was trading 22.24 points, or 0.06 percent, higher at 38,899.36 at 1230 hours. Similarly, the NSE benchmark Nifty was trading marginally higher at 11,643.40. Top gainers in the Sensex pack were Hero MotoCorp, Bharti Airtel, Asian Paints, NTPC, Tata Motors, HDFC, Bajaj Auto, Vedanta and Axis Bank, rising up to 1.92 percent. While HCL Tech, Yes Bank, Tata Steel, RIL, ONGC, IndusInd Bank, TCS, ICICI Bank, M&M, Infosys, HDFC Bank, ITC and SBI shed up to 2.43 percent. Interest rate sensitive stocks—banking, realty and auto—witnessed mixed trend following the RBI rate cut announcement. The BSE auto index was trading at 19,241.02, up 77.92 points or 0.41 percent, and the BSE realty index gained 0.81 percent at 2,123.97. The BSE bankex, on the other hand, was hovering around 33,735.77, down 112.23 points or 0.33 percent.